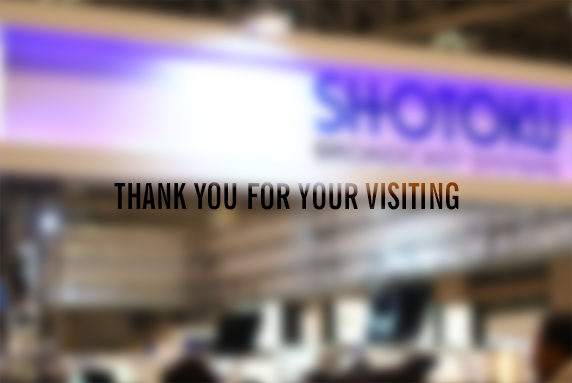 Thank you to all who took the time to visit our booth in 2019. Stay tuned for future shows and see you at NAB 2020. In addition to a brand new ENG/EFP manual tripod series, the extremely popular SmartPed fully robotic XY pedestal and SmartRail (North America Debut) will be on display at the show. Brand new features to the TR-XT control panel including LiveView will also be available for demonstration. SmartRail represents the latest generation of rail-based camera systems for floor or ceiling operation offering a wide range of cost-effective height column configurations. The system combines the precision and flexibility of Shotoku control systems with a rail-based dolly and elevator column system to provide a unique perspective on any live, multi-camera studio production. A fully robotic XY pedestal embraced by some of the world’s most prominent broadcasting organizations, SmartPed addresses the creative and commercial demands of on-air environments with a cost-efficient and high-performance solution. The three-wheel smooth-steer pedestal features a new height column without any need of pneumatic balancing, multi-zone collision avoidance and detection systems, and precision-engineered, electro-mechanical steer/drive system for unparalleled levels of performance and reliability. Introducing LiveView, a highly intuitive live video control option for the universally popular and trusted TR-XT control system. Ideally suited for a wide range of applications including VR/AR, LiveView presents the operator with the option of immediate joystick control of the camera as usual or LiveView control via on-screen live video. Raising the bar on movement quality and shot framing control, comes the new SX200 and SX260 100mm ENG Support systems. The new perfect counter balance system, Shotoku “truebalance”, delivers perfect counterbalance, is remarkably easy to adjust from one end of the range to the other, and has an intuitive display to indicate the current setting within the balance range. Partnered with a new 100mm ENG Carbon Fibre tripod with fast action de-tented leg locks and mid or ground level spreaders, the system delivers one of the lightest ENG systems available with a performance poised to set the new support standard for high end ENG cameras.